If you’re in the middle of the trauma of infidelity, I’m quite sure you’ve had to tackle the topic of Disclosure. I’m also confident you’ve had to deal with the question of how to handle the details. I’ll be honest with you: how you address the details of the affair(s) or addiction determines how the recovery process will go. Our topic today is ‘Disclosure.” Couples need to be able to develop a common understanding of their history. With that common history in place the infidelity becomes a part of the story of “Us.” This is what allows the loss created by the infidelity to be transformed to something new. It’s what allows us to transition from the pain of that previous relationship to new life full possibilities as we move forward. 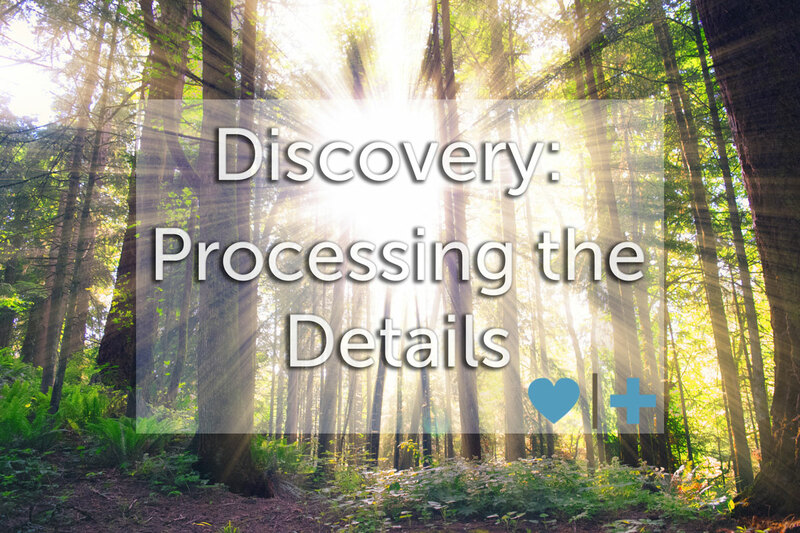 How couples handle the process of discovery determines how quickly they can develop a common understanding. Second to stopping the infidelity behaviors, how couples handle discovery may be the most critical factor in recovery and surviving infidelity. Some of you may have already received too much information about what’s occurred. I hate that’s happened to you, but I promise in the long run, with the right help, those memories will fade. It’s important as you go forward not to inflict more damage. Some of you who have been unfaithful may come to see the importance of answering your mate’s questions. Agree upon safety guidelines and identify and establish a plan for staying within those guidelines. Identify what information you need to understand what happened. Establish a plan for getting the information you need. and how much they really want to know. In one of her surveys, Peggy Vaughan found that 72% of betrayed spouses reported that they recovered from the sexual activity in the affair before they recovered from the fact they were deceived. It’s the deception during and after the affair that creates the challenge for reconciliation. Deception creates the sense of betrayal and destroys not only the trust toward their mate, but also their trust in themselves. They no longer feel they can trust reality or their intuition. They’re not even sure if they can trust their gut about whether what they see is real. Providing answers to their questions allows them to find footing in their new, albeit painful, reality. While it is possible for a couple to continue living together after betrayal, without discovery, they will unfortunately never reestablish a deep, trusting, and meaningful relationship. Couples may live under the same roof, but without trust intimacy can never be reestablished. Before the betrayed spouse will trust his or her mate, the unfaithful spouse must first trust them with the information and details of the affair or acting out behaviors. Choosing to withhold information perpetuates a pattern of deception. For unfaithful spouses, if you ever hope to have intimacy with your mate, disclosure is an absolute necessity for healing after an affair. The process of discovery realigns loyalty in the relationship. As long as I withheld information from my mate regarding my extramarital activities, it was communicated by my actions that I maintained a covert alliance with my affair partner. Refusing to give information clearly communicated her importance over my mate. Releasing those secrets through the process of discovery provides the betrayed spouse the necessary security to continue in the process and to continue healing after the affair. In his Survivors' Blog, Samuel shared his own insight on why the details of the affair have to be confronted and discussed: "Why the Betrayed Spouse Wants Details"
Why Disclose When it Only Seems to Make Things Worse? Withholding information from your spouse is not only controlling, it’s completely self-centered. The betrayed spouse will keep trying to connect the dots in their head in an attempt to make sense of things. Without understanding what happened they will most likely never fully trust again. The betrayed spouse will create their own version of what happened which will be far worse than reality. The betrayed spouse will feel their history has been destroyed. The good times will always be tainted by the betrayal because they can never separate the good from the bad. Difficulty in creating a safe environment. Unnecessary intrusive thoughts and triggers. Additional trauma for both parties. To begin, you need to know the basic details of what happened. What you don’t want to do is ask comparison questions, such as how they acted out sexually with the affair partner or questions about physical attributes, which could cause you to compare yourself. Remember, it’s not an apple to apples comparison. Comparison question do not provide relevant information, but they do create intrusive thoughts that will be problematic long after you begin recovery. The urge to ask these types of questions is strong. Please hear me when I say that this information has the potential to cause unnecessary difficulty in the healing process. Keep asking yourself, “Why do I want to know?” Usually the answer is pride and that won’t help you heal and move forward. There is a strong likelihood that your mate doesn’t fully understand why it happened yet. So don’t get stuck on this question. It will take time before they understand why, and as difficult as it is to believe, most likely your mate wasn’t thinking about anything other than the fact that they wouldn’t get caught. If they do share their understanding of why, probably all they can share are their justifications for what they did. Discovery is tough and even scary, but without going through this process you will never be able to fully heal. Keep an open mind as you read the following guidelines and remain open to the possibility of recovery. 1. Tell the whole truth and nothing but the truth. More damage is done by the deception than by the sexual acts. It’s the deception that creates the sense of betrayal. Not only can your spouse not trust you, but they can’t trust reality or their intuition. They don’t even know if they can trust their gut about what seems real. Answer their questions. It’s the only way to help them find what’s real. Infidelity is the keeping of secrets and continued deception blocks any hope of healing. 2. Don’t control your mate’s response. Don’t shut your mate down when they get angry or emotional. This is most likely the most painful thing they will ever experience. Emotional conversations are normal. Be present and listen when they share feelings. At the same time, if it seems they are flooding and getting violent or irrational in their anger, take a timeout and let things cool down before continuing. Defensiveness is nothing more than pride. It is manipulating and controlling how others see you. Rather than being concerned about how others see you, try to understand their perspective. If they feel you’re interested in their perspective, rather than defending your own, they will be far more likely to return the favor. In the long run, all defensiveness accomplishes is creating more distance between you and your mate. 4. Don’t minimize what you’ve done. Be rigorously honest, sharing the parts you don’t want to share. If you minimize what happened your mate won’t believe you. If you tell it honestly at least your mate will know you’re trying to be honest. 5. Don’t decide for your mate what information they need. Let your mate decide how much information he or she needs. You don’t know what they need to know. Ask them what level of detail they would like and answer their questions. Don’t try to control your mate by the controlling the flow of information. To bring some stability to the chaos of the early stages of discovery, sign up for our free, 7 day First Steps Bootcamp for Surviving Infidelity. If you’re wanting to give your marriage a chance with a jump start to your recovery in a safe environment, register for our EMS Weekend. It’s facilitated by myself every month, as well as other therapists on my team who are experts in their own right and have experienced the pain of infidelity first hand. You accurately stated "Ask them what level of detail they would like and answer their questions" under the "let your mate decide how much information he or she needs" section. I suggest this also become a #3 under the "How much do you really want to know" section as this has HUGE potential to cause issues later down the road. As the betrayed, I remember asking questions which were very detailed; and some of the answers I still can't get out of my head TEN YEARS LATER. A reasonable response from my wife might have been "are you sure you want to know?" Simply put, I can't "unknow". And some information has simply proven NOT to be useful down the road. I wish my husband would read this and follow the steps. We are 6 months out from Dday, the first 6-8 weeks after my husband drank (a lot) while intoxicated he said horrible things, comparing us physically, sexually, and emotionally. The things he said were devastating and you right you cannot unhear them, they ring through my head daily. We have a therapist, although we have to been in awhile, and I believe my husband is trying very hard to reconnect. His ap lives in the same small town that we do and is in some of the same social circles. She calls and leaves nasty messages, sends letter with vulgar details and magically shows up everywhere. When I try to get details from my husband his response is always "I don't remember I was drunk". I'm left to fill in the blanks with the details she provides. My recovery feels like a roller coaster and at times I am not sure who or what to trust. Honesty has and always will be the best policy. Almost 3 years from Dday and we still haven't gotten through discovery. I appreciate the helpful topics today, I'm going to send this on to my husband in hopes he'll have an ah-ha moment. However I'm afraid it may be too little too late. All of the warnings you listed for failure to disclose are in fact accurate. I don't feel safe with him, It's been almost 3 years & I'm not even close to recovery, so many triggers and thoughts, trauma on the regs, intimacy (I don't even remember what that is anymore), I can't even remember the man that I married or what the good times were. I feel like I'm finally at a place where moving on is the only answer, but I would still like the disclosure to help close up this wound myself and try to put myself back together. I've been in this hole far to long. You are so right about having questions with no answers and then no trust. But what about continued lies? My husband just keeps lieing. He says there is nothing more with this woman, and then I find out he still sees her and talks to her, he even offered to help her move! I feel like he is holding on because he wants her back if things don't work out at home. I don't and can't trust him. Feel right now that he will never be trust-worthy again.